It's getting a bit quieter on the medical marijuana front as state legislative sessions wind down, but there is still some action. Last weekend, the AMA called for protections for medical marijuana doctors. Meeting at its annual convention in Chicago, the American Medical Association has passed a resolution called "Immunity from Federal Prosecution for Cannabis Prescribing." The resolution is "consistent with AMA policy to protect patient-physician communications about treatment options, supporting a public health approach rather than a law-enforcement focus, for individuals possessing cannabis for personal use and opposing government interference with the practice of medicine," the nation's largest doctors' group said. Last Thursday, medical marijuana legislation died. The legislative session ended last Thursday, and medical marijuana legislation died without action. Again. Last Thursday, the Santa Barbara planning commission approved a dispensary. The commission approved a location at Ontare Plaza by a 6-1 vote. It still must be approved by the city council. 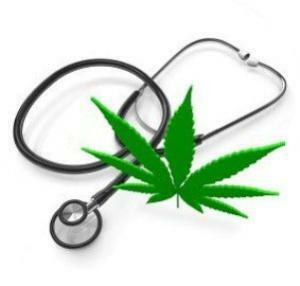 Last Thursday, the House approved a medical marijuana bill. The House approved Senate Bill 143, which would allow for the use of non-smoked marijuana for medical reasons and which would set up a system of 10 dispensaries statewide. The bill has already passed the Senate, but now returns there for a final vote after the house amended the bill. Gov. Bobby Jindal (R) has said he will sign the bill.